Metro UI Style is one of the popular characteristic from Windows which shown on their newest product such as Windows Phone and Windows 8. For you who love Metro UI and want to show it on your browser, you can use an extension for Google Chrome. With this extension, the speed dial when opening a new tab will come with Metro UI style. 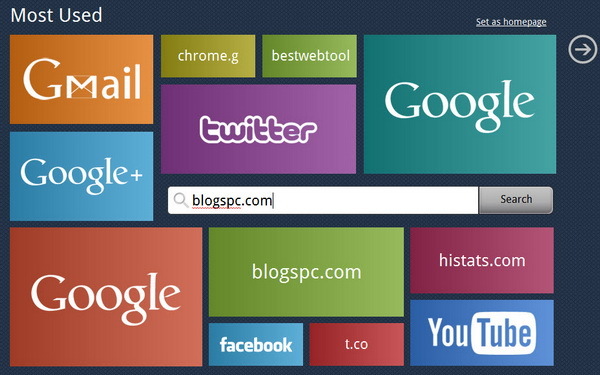 You can easily look at sites that you visit often, accessing bookmark, and do search on one page. The start page thats personalized, stylish and practical. See your top sites on newtab, access your bookmarks and apps in a click.